Tony Simmons grew up in Queens alongside future rap legends like Run D.M.C, Russell Simmons, Salt-N-Pepa, and LL Cool J. Today he’s the Executive Director for the High School For Recording Arts, where he’s using music to reinvent the way we approach education. In this episode, Tony takes us back to the birth of Hip Hop, what it’s like to work with Prince, and how to make meaningful connections through self-reflection and creativity. 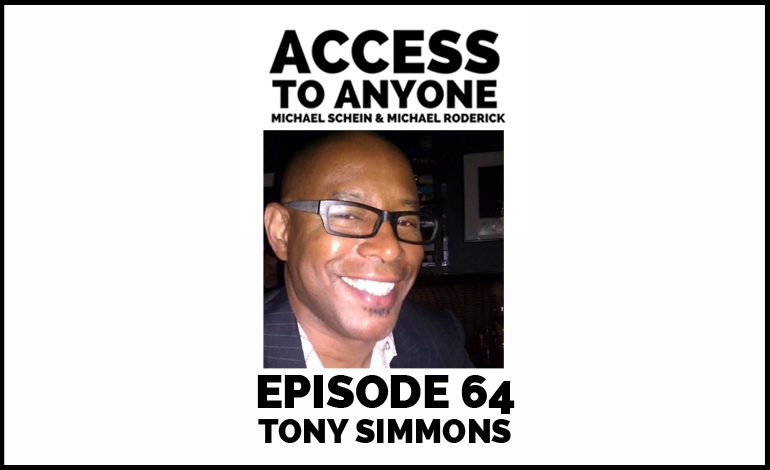 Tony Simmons is the Executive Director of High School for Recording Arts (HSRA) and Studio 4 Enterprises, an educational services and management organization. Tony has served as board member and/or provided technical assistance to leading national school reform organizations including Edvisions, Inc., the Black Alliance for Educational Options, and the Minnesota Association of Charter Schools. He was also part of the development team for Minnesota’s first online project-based charter school EdVisions Online Academy. Tony attended Howard University and Pace University where he earned a BA in Political Studies, and graduated from Rutgers University School of Law with a Juris Doctorate.